Fascinating Oscillating Reaction Kit, Chemistry: Educational Innovations, Inc. 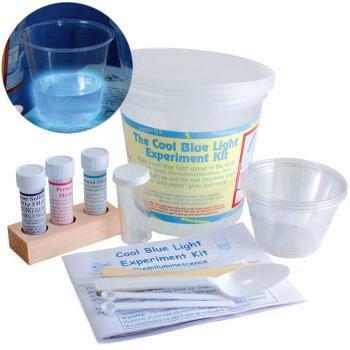 In this one-of-a-kind chemistry kit, you will make a clear solution and watch it change to amber, then to blue-purple and back to colorless. Watch as it amazingly repeats the color cycle again and again! Discover the chemistry behind the Briggs-Rauscher Oscillating Reaction. Ages 12+ with adult supervision. Contains malonic acid, manganese sulfate, sodium iodate, sodium thiosulfate, sulfamic acid, starch solution, wooden rack, pipet, stirrers, spoon, small scoops, cups, MSDS and instructions. Hydrogen peroxide (3 %) is required, but not included. Really fascinating and a big hit with tween science buffs. I love that Educational Innovations includes their own tips with my orders. 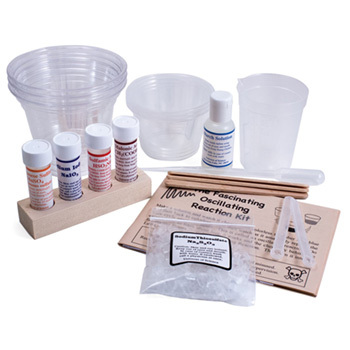 They were key with this kit because the product directions from the manufacturer did not state sufficient amounts of a particular chemical to kickstart the reaction. 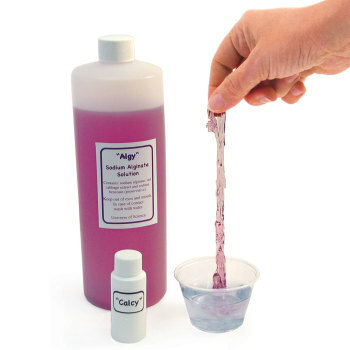 This product was just what I needed for my high school Chemistry students. It was easy to follow the directions and there was a ample supply of chemicals in the classroom set for my 3 chem classes (total of 30 students - working in pairs) The information included is simple to follow. 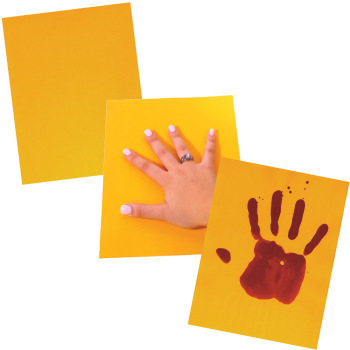 Great for homeschool teachers who want to do real experiments with minimal fuss.